The Redmi 5 is about to be released in India, it is one of the most-anticipated and most-awaited smartphones as of now. There used to be a time when people eagerly awaited a smartphone’s release to know the specifications. But now the trend has changed. People have grown so impatient that they have to know the features and specifications of the next smartphone even before it is released. Some people defer their buying decisions based on such leaks. Then there are the people who oblige such people with untimely leaks. Or it may so happen that retailers, in their haste, jump the gun and list unreleased smartphones on their websites. Whatever the reasons may be, it is a fact that most of the major smartphones nowadays leak before their release. It has almost become a normal phenomenon. The Redmi 5 is about to be released in India, it is one of the most-anticipated and most-awaited smartphones as of now. And the inevitable has happened. This time all the details of the Redmi 5 are displayed on a middle-eastern shopping website which says its an Amazon company. It is accepting pre-registrations for the Redmi 5, which are open until March 13. Interestingly, clicking on the pre-registration link takes the user to a Google Doc which asks for the user’s name, email id and phone number. A 5.7″ full-screen 18:9 display. Precise, polished cover glass panel. A high-capacity 3,300mAh battery which offers 12 days of standby time and 15 hours of video playback. A 12-megapixel primary camera with large 1.25?m pixels. A dedicated microSD card slot. A reinforced corner design to better protect against falls. It will be available in 2 variants; 2GB RAM + 16GB Storage and 3GB RAM + 32GB Storage. These specifications are in line with the ones we had reported in December last year. Though the website does not specify the processor, the Redmi 5 is expected to feature a Snapdragon 450 processor. It will run the latest version of MIUI at the time of release. The Redmi 5 is expected to be released on March 14. Manu Kumar Jain has tweeted about a “Compact Powerhouse” which has a small form-factor and fits snugly in hand. The tweet also has the number 5 prominently highlighted. 5/6 people wish their phone could fit better in their hands ? Be happy! #CompactPowerhouse is coming, which has an amazing handfeel ? All these signs point to the imminent arrival of the Redmi 5. It is just a matter of 2 days’ wait. 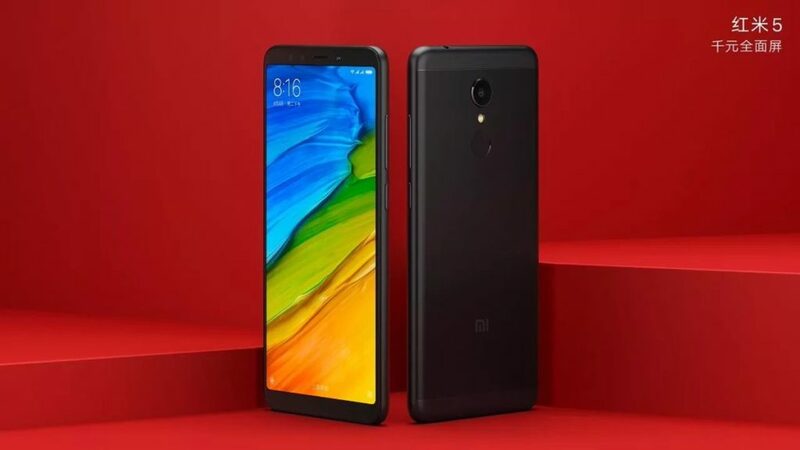 The recently released Redmi Note 5 and Redmi Note 5 Pro had taken people by surprise as there were rumours that the Note 5 had been cancelled. The Redmi 5 is also a much anticipated phone, because its predecessor had sold in record numbers. That coupled with Xiaomi’s aggressive pricing will ensure that the Redmi 5 also sells in large numbers.